Al-Muharraq (Premier League) inked 28-year old American guard Kevin Murphy (197-84kg-90, college: Tenn Tech). He joins another USA player Chester Giles which is already in the roster. Murphy played in the summer at SM Beermen in Filipino PBA league. He managed to play in five leagues in three countries last year (!!!). 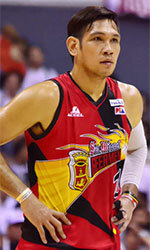 In 8 PBA games he averaged impressive 30.1ppg, 8.3rpg and 5.0apg. 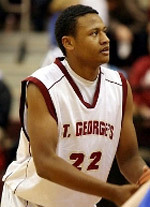 Murphy also played for Chongqing (NBL) in Chinese league. In 2012 he was drafted by Drafted by? Utah Jazz (NBA) in second round (47th overall). Murphy attended Tennessee Tech University and it is his seventh season in pro basketball. His team won Adriatic League Supercup. Murphy is a very experienced player. He has quite traveled the world as his pro career brought him to seven different countries on three different continents (Europe, Asia and of course North America). Murphy has played previously professionally in Croatia (Cedevita), France (SIG Strasbourg), Japan, Turkey (Gaziantep), NBA (Orlando Magic), China (Zhejiang Guangsha Lions and Guangxi) and NBA G League (Stockton Kings and Grand Rapids Drive). Explosive scorer that possesses a wide offensive skill-set … Good length for either wing position … Active runner … Quick feet … Gets himself squared up to the hoop almost instantly … Volume shooter. Not a very strong finisher at the rim, due in large part to his slight frame … Does most of his scoring outside the paint, so it's hard for him to establish a good scoring rhythm if his shot isn't falling.